Oh Malaysia, Tanah Tumpahnya Darahku. 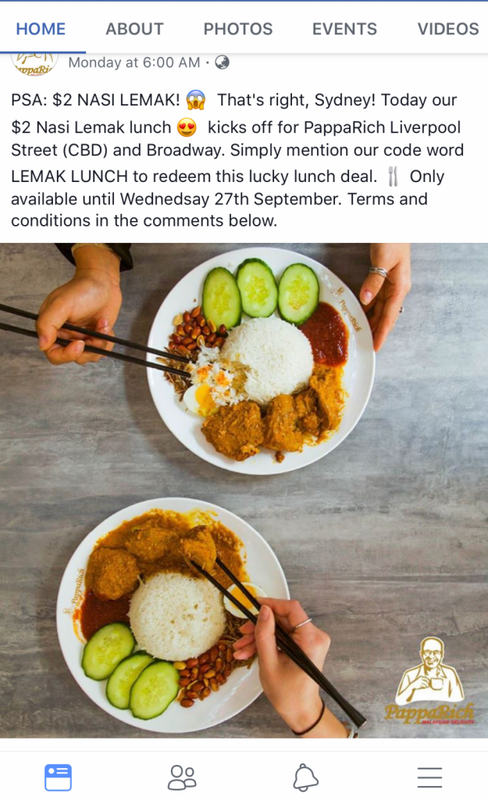 Famous for its diverse cultural heritage, its awe-inspiring geographical scenery, the Petronas Twin Towers, and…”crispy rendang”?! Ah, #RendangGate, who can forget that, right? 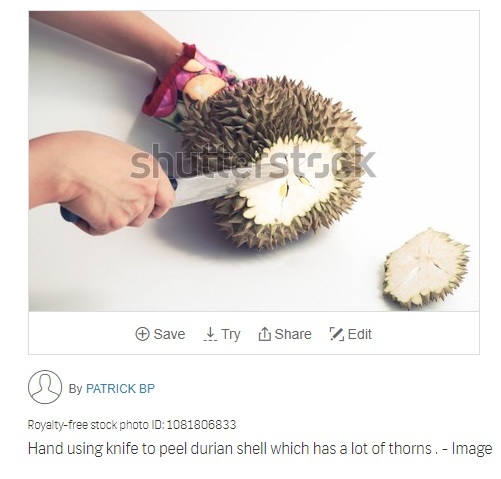 For those not in the know, last year, a MasterChef UK judge was criticised after he didn’t like a Kuantan-born contestant’s rendang because the chicken wasn’t crispy. Think that’s crazy? 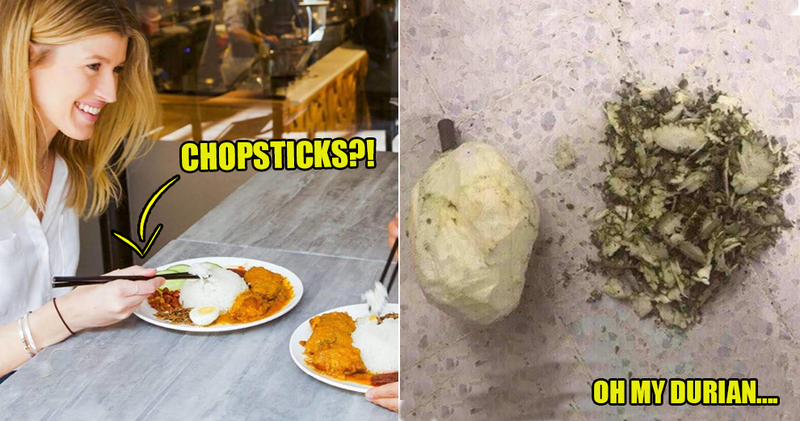 Then check out these other times non-Malaysians got our local delicacies all wrong. 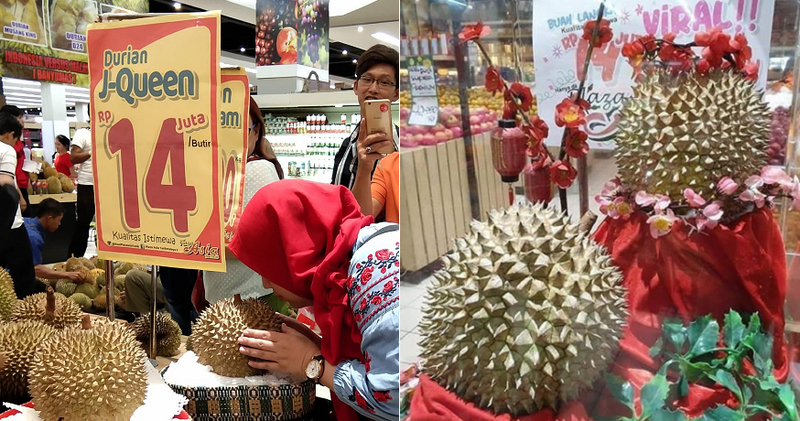 As the old Malay saying goes, bagai durian dibelah dua. Or rather not! 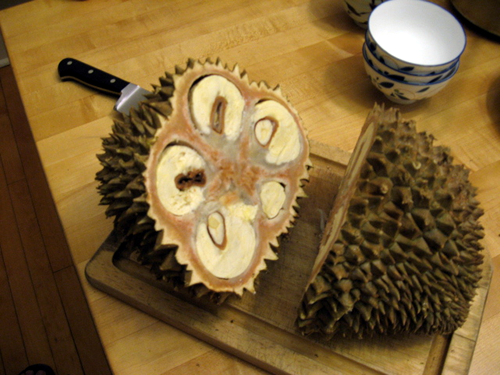 Nothing tastes better than a freshly peeled durian right? For a restaurant chain from Malaysia, this is really quite unfortunate. 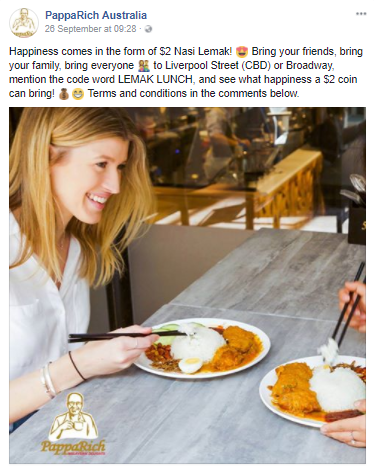 In a blunder on their social media platform back in 2017, PappaRich Australia made a post promoting their nasi lemak with ang mohs eating it with chopsticks. Okay, someone must’ve forgotten to do some market research before approving the posters. The post was removed shortly afterwards, but not before netizens took screenshots of it, of course. It is quite funny if you think about it, though! 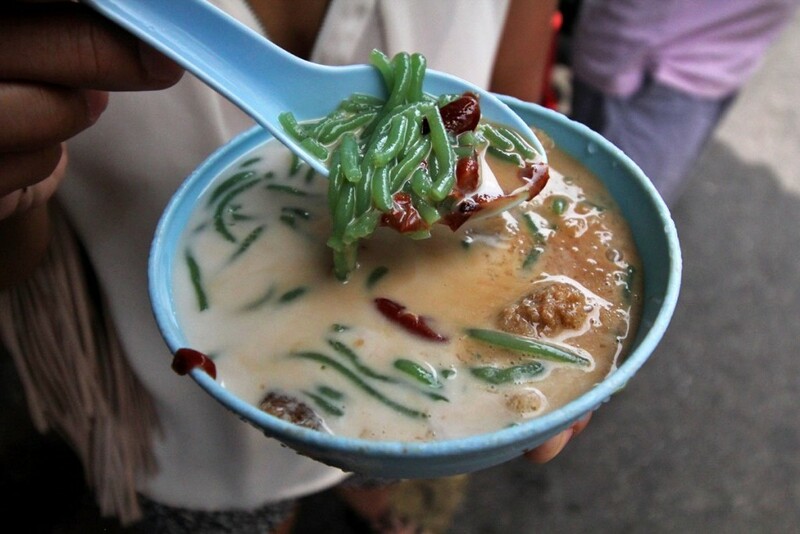 There’s nothing better than a sweet refreshing yummy cendol on a hot sunny day. 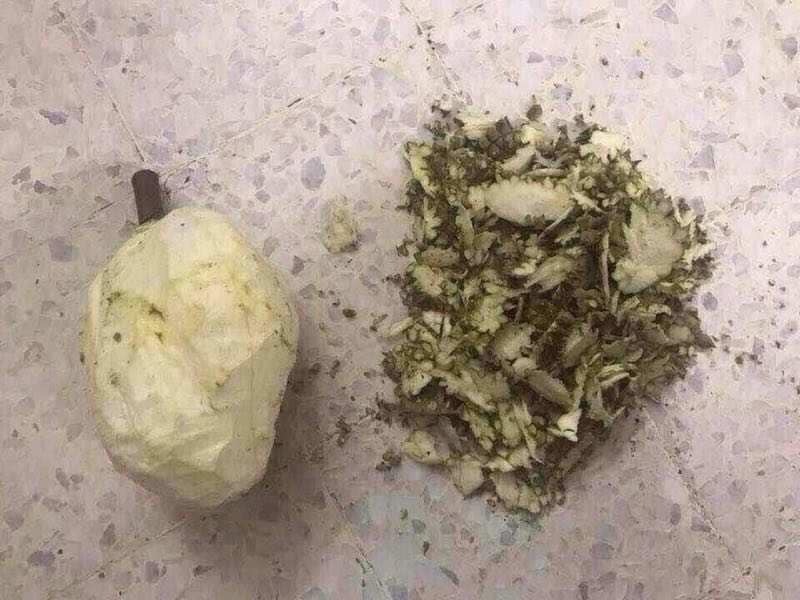 No wonder even CNN listed it down as one of the best desserts on Earth! There’s only one problem with the CNN advertorial though, as it actually stated cendol was from Singapore instead of Malaysia. Well to be fair, cendol is available in both countries, but to say that cendol originates from Singapore is quite a stretch. More so considering how their justification for it is that Singaporeans put sweetened red beans in it. 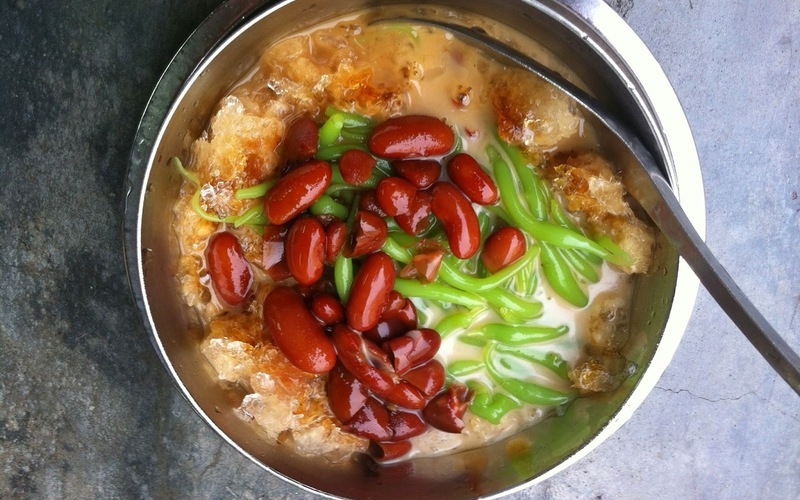 Err, FYI, we put red beans in our cendol too, CNN! 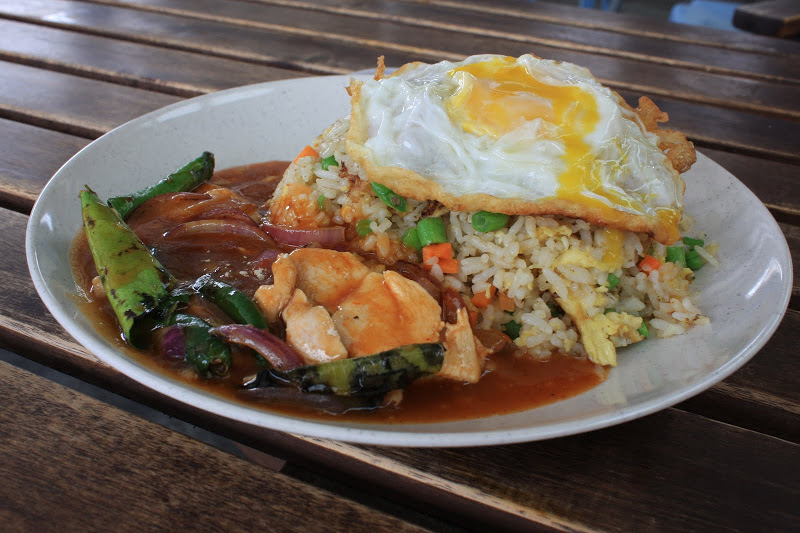 Speaking of mistaken identities, another dish most non-Malaysians always get confused with when ordering at a local restaurant is ‘Nasi Goreng USA’. 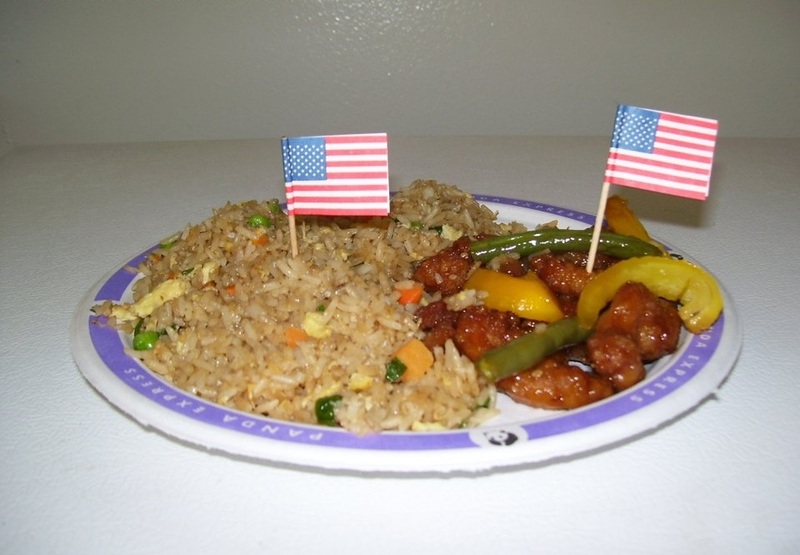 Yup, it may literally translate to ‘USA Fried Rice‘ but that doesn’t mean it’s from the United States of America. On the contrary, the ‘USA’ in ‘Nasi Goreng USA’ actually stands for the ingredients inside the fried rice which is Udang, Sotong, and Ayam (prawn, squid, and chicken). Well, seeing that most restaurants don’t even follow those ingredients anymore, you can understand the confusion from non-Malaysians when ordering the fried rice. This has got to be one of the most common misconceptions about our local food amongst non-Malaysians. Just browse the food and travel channels on YouTube and you can see these YouTubers simply generalising all Malaysian food as Malay food. 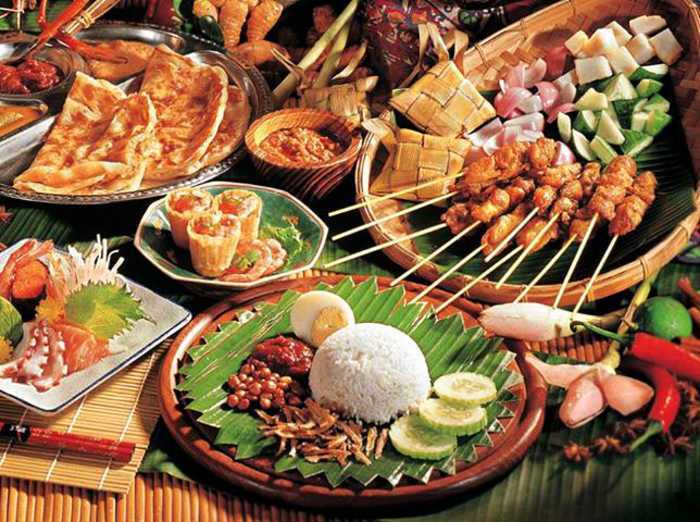 Just like our country is known for its diversity, our Malaysian food is equally varied as you can find traditional Chinese, Indian, Malay, and more all readily available anywhere. This is why we are famous for being a food haven in the first place! Okay, all these examples really make us appreciate the food and snacks we have every day even more. We are so gastronomically blessed and have the chance to indulge in yummy food anytime we want! What do you think of these examples or do you have any personal experience of foreigners getting things wrong about our local food? Share your thoughts with us in the comments section! 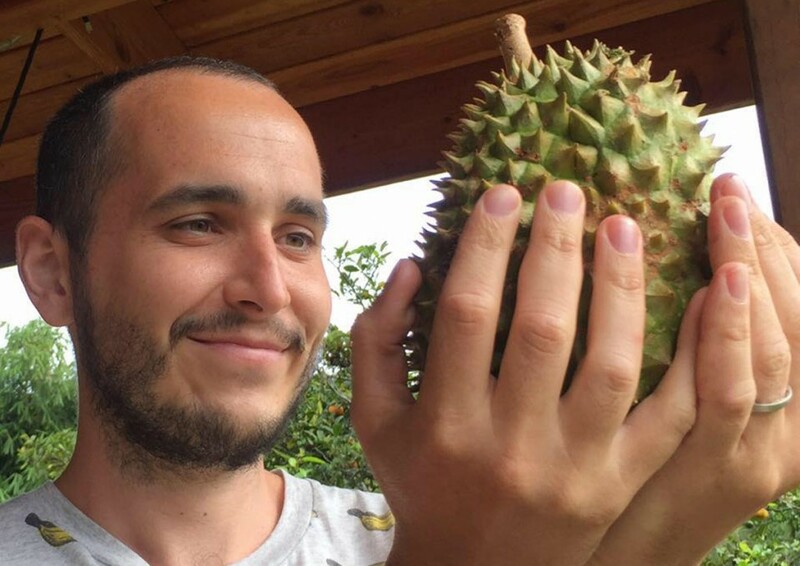 Also read: This Durian Is So Rare That It Costs RM4,000 & There’s Only One Tree in Existence!